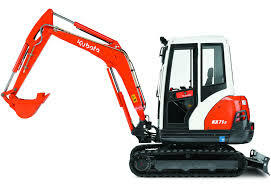 Do you have a 360 digger or excavator for sale? Are you looking to sell your 360 digger or excavator? If you’re looking to sell your 360 digger or excavator or have a 360 digger or excavator for sale, then be sure to get in touch with Sell My Digger today. 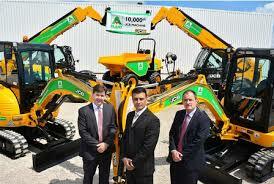 We are experts in 360 digger sales, with plenty of years’ experience in purchasing this type of industrial machinery. If you have a digger that you no longer have a purpose for then why not sell it to us for cash? We offer fair prices on diggers and can give you a fast quote so there’s no hanging about. As the name suggests, 360 excavators have the ability to operate at 360 degrees around the digger location. With the arm and bucket ability to rotate full circle, these diggers can get into the most complicated of jobs with ease. These multipurpose, flexible machines are often combined with other digger features, such as wheeled, large or mini, to create maximum efficiency and output. No matter the application, there will no doubt be a 360 digger to suit your purpose from any one of the major digger manufacturers such as JCB, Volvo and Caterpillar. For more information or a quote on your 360 digger, please contact us today. Simply fill out or form and tell us a bit more about your digger, or alternatively give us a call. We will be happy to go through the details, and photographs where possible, of your machinery in order to supply you with a fast and fair quote, as soon as possible. Best of all, our quotes are no obligation, so there’s no worry of having to stick with us if you change your mind about selling. We endeavour to get back to you within 48 hours and can cater to anyone with a 360 digger for sale anywhere in the UK. So if you have a 360 digger or excavator for sale or are you looking to sell your 360 digger or excavator, why not give us a contact us today by Simply Requesting a Valuation !